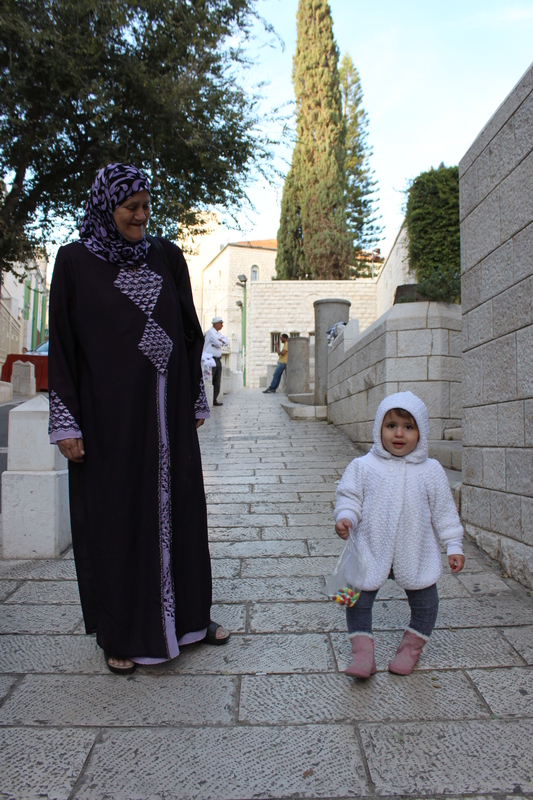 Our bus dropped us off, so we could walk the narrow street to the Church of Annunciation in Nazareth. As I’ve mentioned in previous posts, most walks in Israel involve an incline, and this one was a long one. As usual, our tour guide led the way, and I trailed behind to make sure if anyone got misplaced, I would be with her. As long as our guide could turn around and see me, he knew everyone was accounted for. The steep inclines were rough at times, and anyone with any kind of breathing problem would have to slow down and pause. As the sidewalk got steeper on the way to the church, one woman slowed and took several breaks. Our group got ahead of us, but we could see where we were going. We followed a little girl with her mom and grandmother, and her cuteness distracted us from the effort of the walk. The little girl paused and turned around. We smiled and waved, and she smiled back at us. We didn’t share a spoken language, but a smile bridges all language barriers. The mom saw our smiles, and I imagine it was obvious we thought her daughter was beautiful. She smiled warmly at us. I motioned at my camera and asked permission to take a photo of the girl. The mom smiled and nodded and stepped aside, telling the little girl to smile (I assume). Had we kept up with the group, we would have missed that beautiful smile. We would have missed the wordless exchange with the women. We got to have a brief, yet sweet exchange that bridged our cultures. Sometimes, falling behind is worth it. We want to be at just the right place at just the right time. We don’t want to miss out on anything. However, the right place at the right time isn’t ours to decide. God knows best where we should be and why. People might say, “You should have been there! You missed out!” but we only missed what they experienced, not what we experienced because we weren’t with them at the time. We can’t experience it all. We can’t be at all places at all times. I’m sure I didn’t hear every word our tour guide said throughout our journey through Israel. I was more often behind him than beside him. But it’s okay. God sent a smile through a little girl and her mom and grandmother to remind me to run, walk, pause, or stop in His timing. There is a time for everything, and that time is His to decide, not mine. 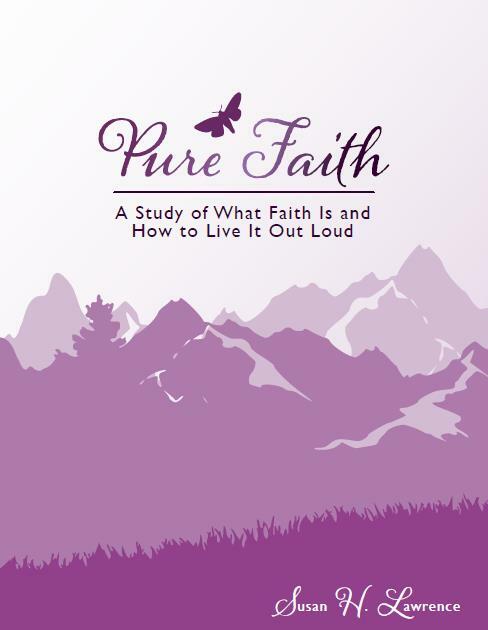 Today’s post is excerpted from the Pure Purpose Bible study. Order a copy for yourself, a gift, or small group. The perspective of faith is difficult and easy. Difficult, because faith requires us to assume and trust God’s perspective in all things, yet we’re limited in our perspectives, so we only get a glimpse of what God sees and knows. Easy, because faith grounds us in certainty…even when we’re uncertain about the certainty. Because God is trustworthy, we can trust him for his perspective and we can trust him with our lives. We won’t always understand, but we can always find certainty in faith, because faith inherently includes certainty. Our best effort to assume a godly perspective of faith is to know God and live his Word. We cannot always know God’s will. We want the answers handed to us when we sometimes don’t even know what questions to ask. If we ask the questions we should ask, we sometimes don’t really want to hear and abide by the answers we get! God’s will is not a mystery if we search for it, but the question is: Are we willing to accept what God reveals as his will, or will we instead decide to hide behind pride and presumptions? When we seek the “who” instead of the “what,” “how,” or “why,” we’re less likely to get discombobulated. The answer still might not be clear, but it also won’t be clouded with the additional questions that can easily lead us down a rabbit trail tangled with our opinions, experiences, and pride. When I was a young mom, it was difficult for me to put God first in a practical, everyday sense. I thought putting God first meant applying myself to spiritual disciplines, such as prayer and Bible reading and study. I absolutely loved spending as much time as possible in those areas, but I felt an urgent call to help when a daughter needed her diaper changed, meals needed to be prepared, naptime needed to start immediately (or was suddenly over), and many other things that, at times, seemed to nearly crush me under the to-do list. Plus, I was trying to be a good wife, which apparently was supposed to fall somewhere between putting God first and being a good mom. Because I couldn’t handle keeping even two of those in perspective, keeping three prioritized seemed disappointedly impossible. I felt like a failure. Even on the days I felt like an adequate wife and a decent mom, I was still failing—at least, by my perspective—as a Christ-follower. It wasn’t an identity crisis. It was a spiritual misapplication. I was setting myself up for failure by holding myself to a standard God never intended. I needed to stop seeing God at the top of everything and instead place him in the center of everything. Perhaps it’s just semantics, but the shift worked for me. I stopped defining my efforts as failures of faith and began defining every role and responsibility as an opportunity for faith. It was the same basic concept, but a slight change significantly altered my outlook and faith journey. When I placed God in the center of everything, I realized I wasn’t choosing my daughters over him when I played with them in the yard and walked to the library. I wasn’t choosing my husband over God when I helped him with a house project or watched football. When God is in the center, he touches everything. I consider God’s perspective no matter what I’m doing. I find significance in the most mundane tasks, because I acknowledge there is purpose in it even if I’m uncertain as to what the particular purpose is. When God is at the center of everything, I’m confident the purpose of what I’m doing is to follow and honor him. When I follow and honor him, I’m placing him in the center of everything. It’s not simply that God is first in everything. He is the absolute foundation of everything. He is invested in everything. He is interested in everything. That is true whether I acknowledge his investment and interest or not. My distortion of God’s position in my life doesn’t change his position. He will always passionately pursue me. What can catapult me farther and faster in spiritual growth is my willingness to line up my life with his will. I can shift my perspective and priorities so that he seems to be off to the side, but he’s still in the center. I’ve simply distorted what I see as reality. God is the center, and when I line up my life with who he is and who he says he created me to be, I have the full assurance of him impacting the practical details of my everyday life. No matter what I’m doing, God is in the center and emanates to reach every circumstance in the circumference of my life. Claiming God as the center of your life is what a perspective of faith is all about. We must remember that we follow a person, not an idea. We have a relationship with Jesus. We don’t just believe in Jesus; we believe him. And it is because of that belief that we follow him. A problem arises when we think Jesus is supposed to give us the details of every single decision and direction we face. However, we don’t even need the details that we so desperately think we need. We want step-by-step directions, the same that we can print or depend on our phones to recite to us. But we don’t need those details. We simply need to follow Jesus. He will give us the details we need. What does that look like? Consider a carrier pigeon. A carrier pigeon doesn’t have all the details. He can’t read the delivery address let alone have a wifi connection that gives him step-by-step instructions. He knows “home.” He knows where he belongs. He might fly in a circle a few times to get ready and make sure he’s properly oriented, but he’ll then hone in on the direction of home and fly in that direction. We need to be so intimately honed into Jesus that we know the direction we need to move. We don’t need to wait for the step-by-step. He’ll reveal what we need to know along the way. We need to trust that his perspective is the perspective we need—the perspective of faith. Where are you going to be a year from now, five years, or twenty years? If you’re honing in on Jesus, you’ll be closer to him as you journey in faith! What would your life be like if you completely trusted God? In the table of contents? A recurring header or footer? 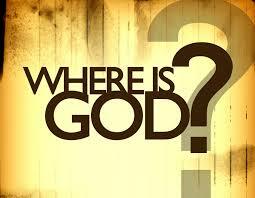 And where do you want God to be? Avoid quickly giving the Sunday School answer. It’s more important to be honest. God already knows. You will not assess where you are as accurately as God does, but you need to take off the blinders and let him give you a glimpse of where you really are. Don’t worry. He knows what you can handle. If you beat yourself up too much and judge yourself too harshly, you’re probably not letting God guide. If you place yourself on a pedestal and fail to see any room for improvement and growth, you’re probably not letting God guide. Be realistic. God is the best reality check. So, ask him. Where have you placed him? Where does he want to be in your life? He loves you and wants the very best for you. And the very best for you is him. So, seek him. Let him invade your life. He’s written the book of life. And he’s the best author! How do you know what you think you know? It’s amazing how many times we jump to conclusions. 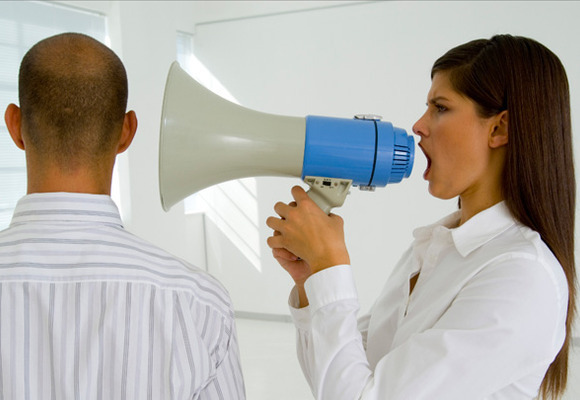 We hear something through a third party, or we overhear a part of a conversation, or we hear something in the way we want to hear it and insist we know the intention behind it. We fill in the gaps between what someone actually said to make the entire story into what we want it to be instead of what it actually is. We omit the parts that contradict what we want to believe, and we ever-so-slightly embellish those areas that emphasize our points. It’s important to go to the source, then listen with respect. Listening with respect isn’t the same as listening for ammunition. It’s listening for truth. It’s giving the person time to talk. It’s asking clarifying questions and briefly summarizing or restating every now and then to insure what you’re hearing is the same as what the person is trying to communicate. It’s listening more than you talk. It’s setting aside your personal agenda for the common good of the relationship. It’s putting others above self. Active listening is a developed skill. It takes practice. Most of us talk much more than we listen. Even if you’re a quiet person, you can’t quickly take yourself off the hook on this one, because a quick word count comparing what you say and what you hear isn’t the same as active listening. Active listening involves investment in a relationship, which means you need to respond in order to show the person your respect. You need to engage, asking questions and restating the basics. Listening with respect doesn’t assume you agree with everything being said. It’s not nearly as much about what is said as who is saying it. God instructs us to respect one another. It’s clear by the standards and expectations he sets that not every behavior, belief, and attitude should be respected, revered, accepted, or tolerated. But we don’t throw the person out with the behavior. It difficult to listen with respect when the person has done something we don’t respect, especially when we find out a person we’ve previously looked up to has gone against biblical principles he or she has previously personally revered and taught. However, it’s not about how we feel like responding. It’s about how God instructs us to respond. And there’s no doubt he commands respect among his followers. To whom do you need to listen with respect today? Invite the conversation. Let God build your faith by trusting him through the process. He will guide you through what you think is impossible. I’m a girl, and I understand girl chat a lot better than guy chat. I had a short layover in Kansas City and was sitting in a quiet corner enjoying a Starbucks drink. At the small round table not far away from me were two men. They were definitely in their stride of conversation when I slipped into the booth near them. They seemed to be a bit familiar with each other but as they shared about their kids, it was apparent they hadn’t known each other for too long. They were talking sports. Because I’m a college football fan, I quickly recognized some of the teams and terms they mentioned. They started talking about different divisions, especially referring to the schools where one of the men’s sons was playing and all the schools that scouted him. It sounds like he’s quite an athlete. There was a catch in his voice and a long pause before the other man quietly stated, “Sounds like you have reason to be a proud dad.” Then the conversation quickly returned to football and got animated again. What just happened? If two women would have been sitting at the booth, that awkward moment would have been immediately filled with questions and consolation. There would have been an invitation to share as much as possible about the tragedy and healing process. There likely would have been tears from both women. And the conversation would probably have not returned to the former topic. They probably wouldn’t even remember what the previous topic had been! They’d part ways with a big hug as new friends, promising to keep in touch and check in with each other. The way the guys handled it wasn’t wrong. I would have been shocked for them to respond in a girl-chat manner. Yet I felt a bit sad for them. I wondered if the dad needed to be able to process aloud for a moment. Maybe not. Perhaps he just needed a moment to be flooded with memories and to share that he has those memories even if he didn’t share the specifics. It’s not really fair for me to draw a line between girl chat and guy chat. I know many guys that can talk a lot—in person and on the phone. I know some women who sit back and take in a situation before getting involved and sharing. Sharing isn’t always safe. Women benefit from pouring into others and being poured into, but they also get hurt more frequently. Some have learned that lesson and decided not to invest quickly or deeply. Don’t rely on your default setting. You need to be investing in others’ lives (and them in yours). 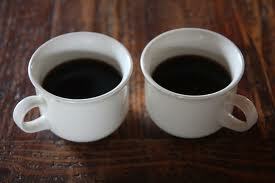 Consider there are better ways to share, whether that’s withholding or releasing. Either way makes you vulnerable. Vulnerability isn’t a bad thing as long as you’re discerning through the process. Invite God to guide, revealing to you when and what you need to share and when and to whom you need to listen. When you’re vulnerable in God’s will, you will always heal, learn, and grow.